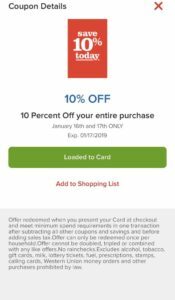 Giant: 10% Off Purchase Digital Coupon 1/16 & 1/17 ONLY! This great digital coupon popped up this morning. 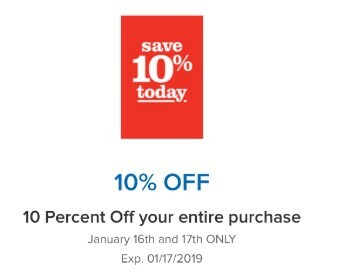 There is a 10% Off your purchase digital coupon that is valid for 1/16 and 1/17 ONLY. Be sure to clip digital coupon and take advantage of this great offer.